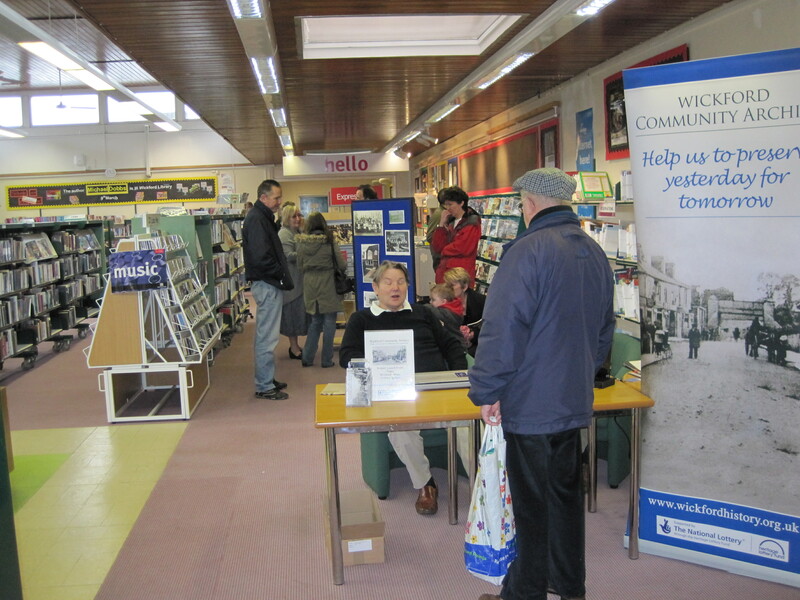 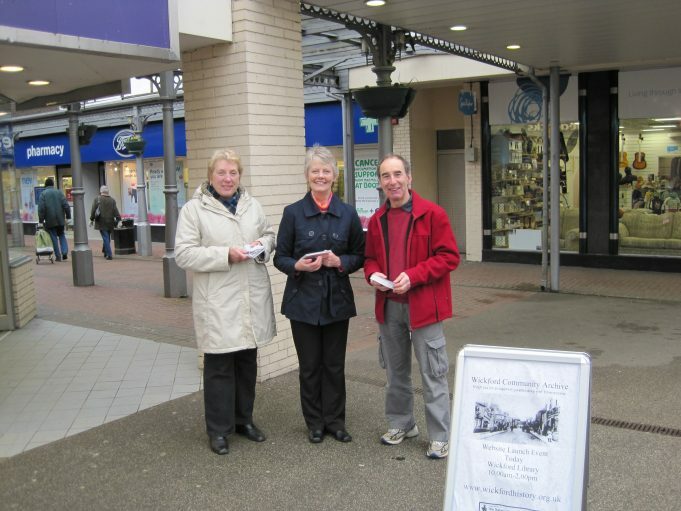 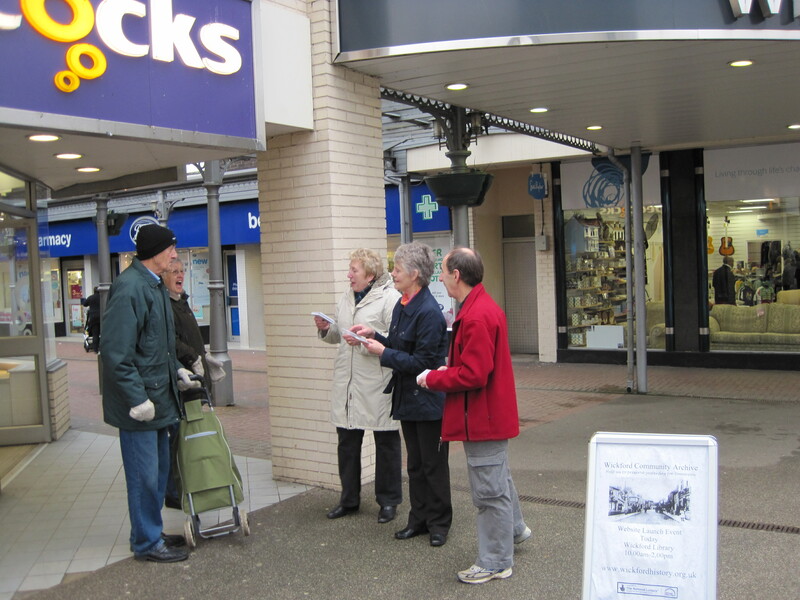 On Saturday morning, 26th February, Diane, Paula and Peter braved the rain outside the Willowdale Shopping Centre to distribute our archive postcards and advertise the website launch in the library. Around fifty people came in to look at the display of photographs (prepared by Jo) and to talk to Jo, Geoff and Jim about the archive project and to see the ‘live’ website. 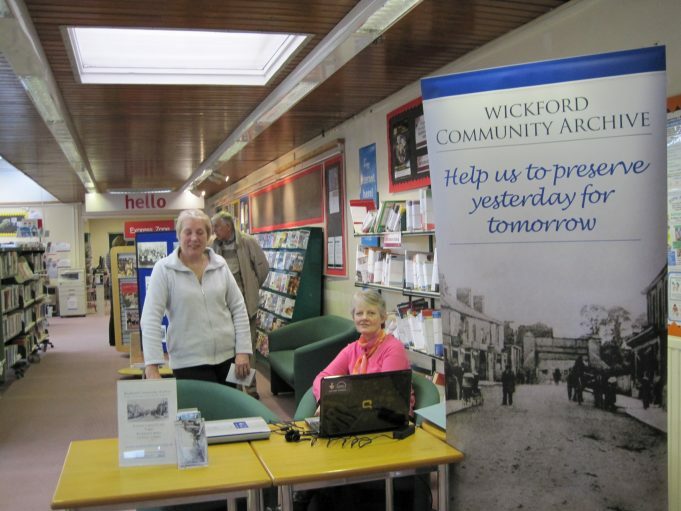 We were delighted by the response.